Few weeks ago, i bought hair cut kits in kmart for $23. 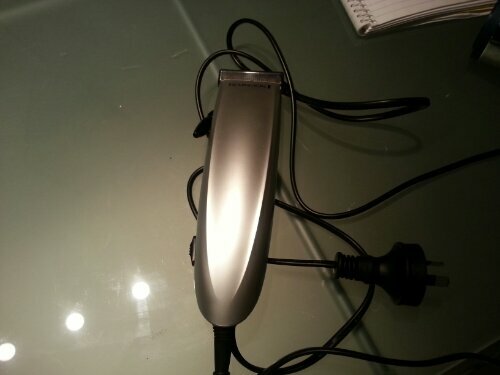 It has a electrical hair trimmer, hair comb and scissor. They are all i need for hair cut.Moreover, having hair cut at home is easier than I thought. For front part, i can do hair cut with a mirror and scissor.All i need to do just follow style. For back, that is too difficult. I asked a friend to hold the electrical trimmer cut hair shorter. My friend told that is easy ,just like to use a shave. That is an easy job and save some money. If you have a hair cut outside, that is around $20. Now, i just spent $23 dollars. In a return, we can save $240 per year!